Good morning polished world! Welcome to the beginning of a new week! April 11th, and I woke up to snow. The poor daffodils are still blooming but they are the most pathetic looking flowers you will ever see. It's kind of sad. It was also reported on the news that the fruit crop this year might be a tad crappy due to this weather. I guess we will have to wait and see. Since Spring seems to be absent outside, I'm making sure my nails are as Spring-like as possible. 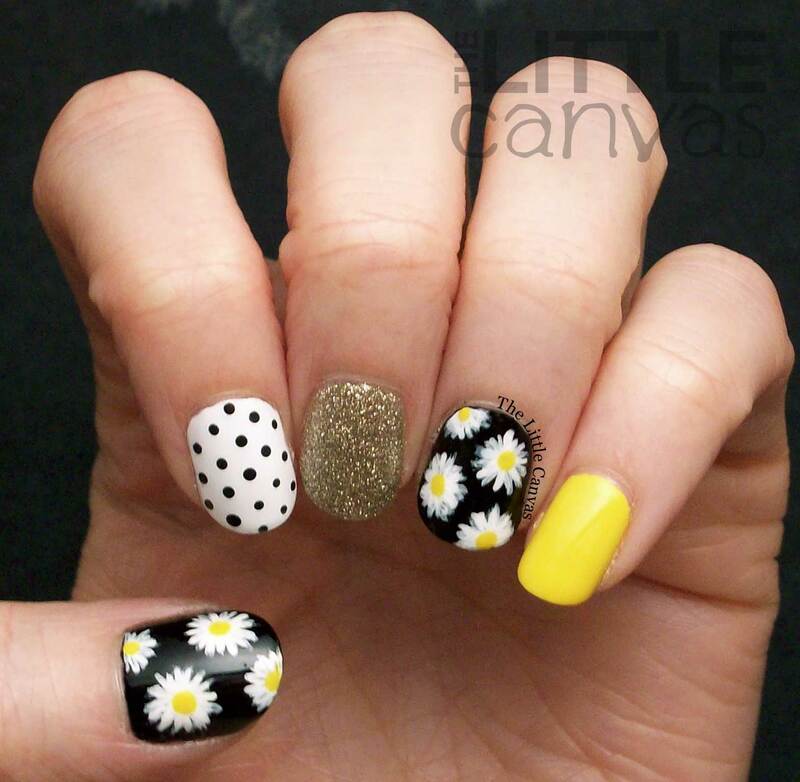 Today I am bringing you a bright, yellow, daisy manicure inspired by BadGirlNails. I fell in love with this bright manicure as soon as I saw it on Pinterest and knew I had to re-create it. Especially since I had recently purchased a perfect yellow. Now, I'm not one for yellow polishes. I own them but I never really use them. When the Hello Kitty collection came out, My Twin Mimmy was calling to me. 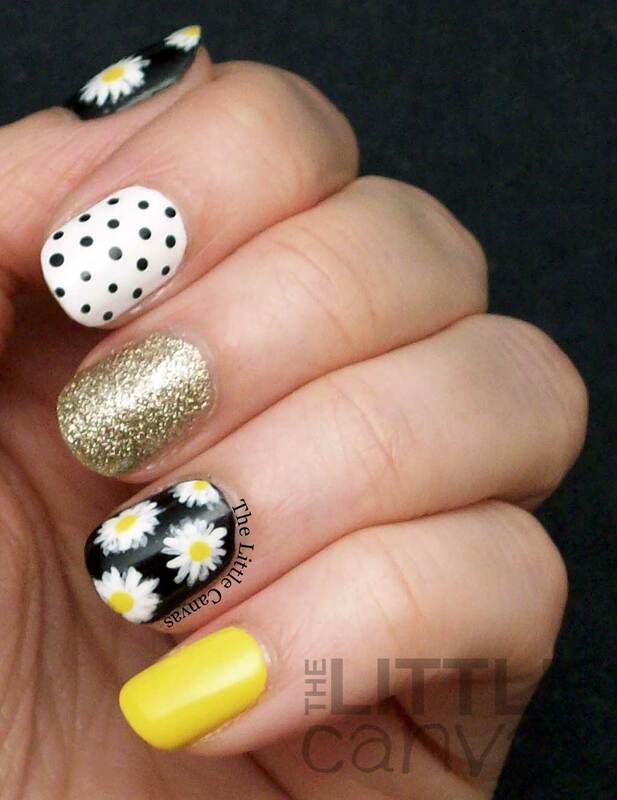 I honestly can't explain it, but I've never wanted a yellow polish more than this one. So I snagged it along with a few others in that collection, and have been waiting for the right opportunity to use it. I am SO happy that I purchased this one. 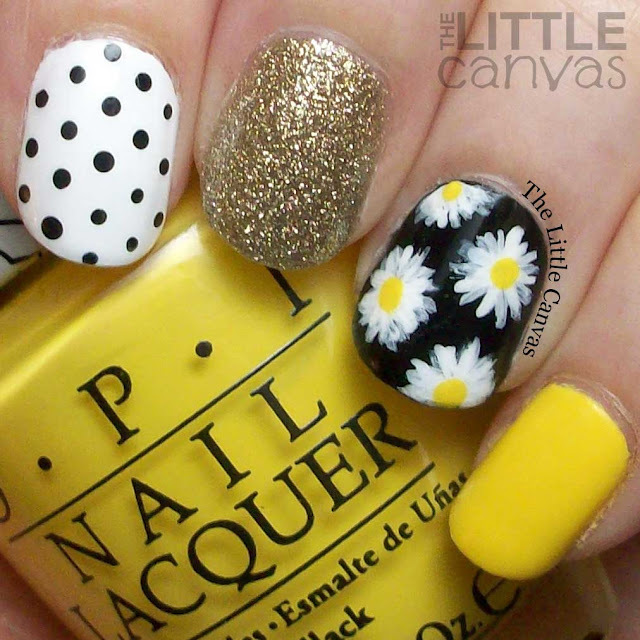 Two coats and perfect yellow perfection. I see myself using it a lot this summer. And since it's an opaque yellow, I believe it will be awesome for water marbles and gradients! Best part about this bright, sunshine yellow....it didn't stain my nails! Every yellow I've ever owned has left my nails looking like they're diseased, but not this one! It's fabulous. Look at this manicure. How gorgeous is it?! I love the color combination so much. I never would have thought of adding Tomoko. 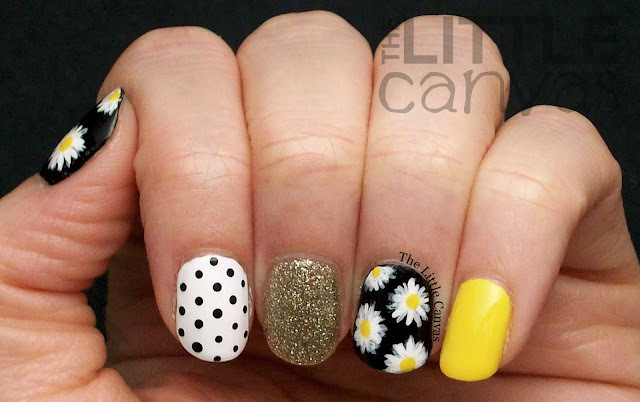 I probably would have done two white nails with dots and not liked the manicure as much. Or I would have done Tomoko and then made my pointer yellow as well. Or done a yellow pointer and done a white middle finger with black polka dots. I could switch it up a zillion ways, but I probably wouldn't have come up with this. What do you think? Fan of the look? Something you'd try? Lover of My Twin Mimmy?